Here is list of Frequently Asked Questions and answers, typical problems and ways to solve it. How to hide notification “Service started”? How to hide notification “Prof Reminder is using battery power”? What features in paid version? How much is paid version? Can I buy not via Google Play? How to restore paid version? Volume level for notifications is low. How to increase it? How to enable playing sound mode for “Vibration” or “Silent” modes? Does it support “DND (Do Not Disturb)” mode? How to add my sounds? What should I know about profiles? How is the appropriate profile selected for the event? What should I know about time limit in profiles? 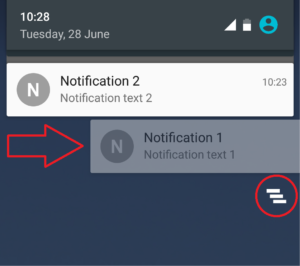 How to make different notifications for missed calls and messages? How to set flash on text message? What are the nuances if stock lock-screen is turned off or if installed third-party lock-screen application? Why application require permission XYZ? Will it support App2SD (Moving application to SD card)? Phone begun comment my actions. How to fix it? Are you trying with default settings? Does the profile work correctly in test mode? Do alerts work for missed calls? Do alerts work for missed SMS? The reason is in phone settings or installed third-party applications for “Optimization”. For Sony Xperia users — it’s in STAMINA power-saving mode settings. In applications for “Optimization” (like Clean Master, Greenify) or Task Killers add Prof Reminder to the whitelist (exclude list). Allow to work application in background mode. Check settings of profile in sections “Limits” and “Contact filter”. Those options — additional conditions for starting profile. Make sure that application have permission “Telephone”. This permission is needed for detection of missed calls. Application cannot perform calling. Or add new profile “for applications” and add your dialer application into the list. Make sure that application have permission “SMS”. This permission is needed for detection of unread text messages. Application cannot send text messages. If you are using third-party application for messages then check work with stock (default) application for messages. So, application Textra SMS earlier version 3.33 contains error. Older versions of Textra SMS contains error — all received messages were marked as read in internal database. Therefore, reminders for messages did not work. In Textra SMS version 3.33, this bug is fixed. then pay attention that, by default, alerts for applications will stop after screen unlock. Here is screenshot of removable notification. It can be deleted by swipe to the left or right, as well as by pressing button “Delete all” (marked by red circle). Click on “ ≡ > Settings > Show icon” and turn top switch off. Such persistent notification is Android 8+ requirement. App can’t hide it, only user can do it. Click on “ ≡ > Settings > Show icon” and set “Disabled”. Click on this notification then click on “Battery > Battery optimization > Not optimized > App apps > Prof Reminder > Don’t optimize”. This is default warning on Android 8 about service running in background. It’s not related with actual battery consumation. Android 9 is free from such warning. Alerts for any other applications (WhatsApp, Viber, Line, Skype, Facebook, Twitter, Instagram, …). Alerts can work for any applications which can post removable notification in status bar (notification area). Price may be different in different countries. The entire payment process is completely controlled by Google. If you are getting «Error: 3» then probably application Google Play Services isn’t installed. It can be done via stock application manager. Just to check that confirmation window for Google Play will open correctly. Real payments isn’t needed. No, it is possible only via Google Play. If you already bought it then there is no need to purchase the app again. 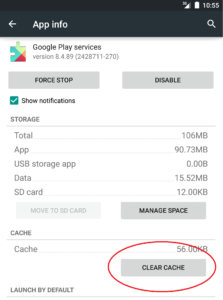 If this does not help — clear Data for applications «Google Play services” and “Google Play” and try again. Unfortunately, in Android flash controlling isn’t standardized. For most devices method “Standard” will work. For several phones is required to choose other suitable method. Try to change flash controlling method. Click on “ ≡ > Settings > Flash”. Try to increase period of blinking. Pay attention that, on several devices flash will work only when screen is turned on. This is hardware restriction. There are many factors which influence on correct work of LED. First of all you should check work of LED in test mode of profile (open profile, click on “ ⋮ > Try”). Make sure that LED is enabled in the profile. Turn screen off while testing. On many devices, the LED works only when the screen is off. Some devices do not support all colors. Try with red, green or blue colors. 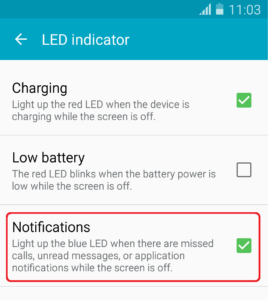 Make sure that phone settings allow to use LED for notifications. For example: screenshot of such setting in Samsung Galaxy S4. Make sure that the device is not discharged, is not connected to the charger, there are no active LED notifications. Try to change LED controlling method “ ≡ > Settings > LED — Control method”. This is known problem for several phones. Currently there are no 100% working solution. Unfortunately Android applications can’t control LED directly, applications only can set request to system with desired color and frequency. Everything works fine when only one application set such request (You can check it by testing profile — open profile, click on “ ⋮ > Try”). But when several applications set request at same time — it can become a problem. Most of devices will use color from last request, but several phones — from first request. This is why you can see LED color from stock application. Make sure that sound is enabled in the profile. Pay attention that (by default) sound will not play if sound mode of phone is “Silent” or “Vibration”. How to change it. Pay attention that there is “Night” profile with silent alerts (only by turning screen on and LED). For all missed call and SMS from 23:00 till 08:00 by default such profile will be used. Also if you store sound files on external memory card, then it’s better to move them on internal memory card. Pay attention that there is “Night” profile which is by default configured for silent alerts (only by turnings screen on and LED). For all missed call and SMS from 23:00 till 08:00 by default such profile will be used. You can set volume in profile. Click on “Profile > Sound” and enable Volume checkbox. If volume level is still low, then click on “ ≡ > Settings > Advanced > Audio channel” and set “Multimedia” audio channel. Open profile, click on «Sound» item, scroll list to the bottom, click on «+». Copy sound files into folder » / Internal_Memory_Card / media / audio / alarms» or » / Internal_Memory_Card / media / audio / notifications». (Path to the memory card on different phones may vary, usually it’s «sdcard»).If new sound is still not available then reboot phone. ‘Day’ and ‘Night’ profiles — are just names. So, changing time limit in first profile will not change time limit in second profile. Number of profiles is not limited. You can modify them, delete, or create your own. Different profiles can work at the same time. New event can start only one profile. I.e. after stopping/ending profile new profile not will started this event. New event received during current notification will cause restart notifications. Search is starting from the top. Messages — in stock message client, call logs — in stock dialer. In first profile set alerts only for missed calls, in seconds profile set alerts only for SMS. Correct work of options “Basic > Stop by — Screen unlock” and “Limits > Locked screen” are guaranteed only when default lock-screen is used. It’s recommended to disable those options or enable stock lock-screen (for example “Unlock by swipe”). It’s recommended to disable those options or try to specify that application in Prof Reminder settings (“ ≡ > Settings > Advanced > Lockscreen application”). Application have no one Unnecessary permission. Required to control flash on several devices. Photo or video recording is not performed. No. Because for applications that use services in their work it’s not recommended. Also size of the application is small. This is known bug of Samsung firmwares. This bug can occurs after enabling any Accessibility service in phone settings. Open system settings, point “Application manager”, tab “All”, disable “Samsung TTS” and “Google Text-to-speech engine” by clicking on them and then click on “Disable”. Install other launcher from Google Play. For example: Nova Launcher or Go Launcher. Make sure that you are using latest version of application. Send your current settings by “ ≡ > Send feedback”. Third-party applications for messages (for SMS)? Applications for call or message blocking? Is firmware on the phone official (standard) or modified?